Archeological museum-preserve “Tanais” the first and biggest museum in Russia, well known to all arche-ologists throughout the world. 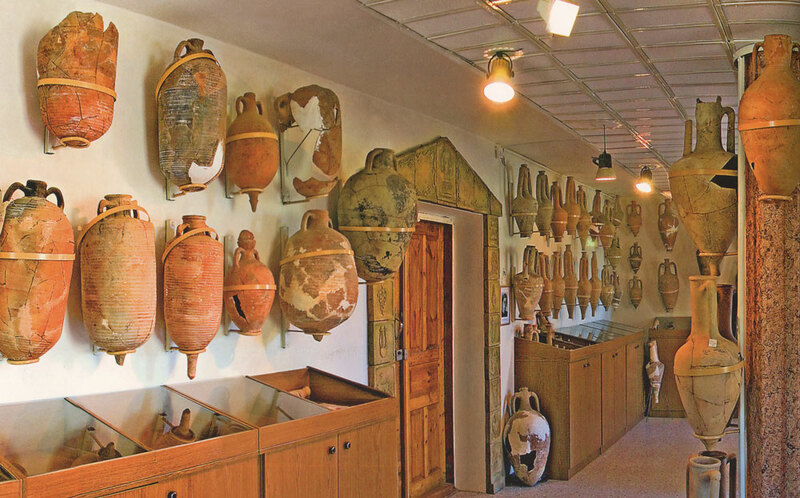 In the preserve you can walk along open blocks and streets of the ancient town, look at reconstructions of ancient buildings, admire multiple exhibits of amphora hall. Das archäologische Museum-Naturschutzgebiet „Tanais” — das erste und das größte in Russland — ist den Archäologen auf der ganzen Welt bekannt. Im Naturschutzgebiet kann man in den offenen Vierteln und Strassen der altertümlichen Stadt herumgehen, sich die rekonstruierten alten Bauwerke anschauen sowie zahlreiche Ausstellungsgegenstдnde in dem Amphorenraum bewundern. Relief with image of Triphon and dedicatory script. Middle of II century B. C. (copy, the original is kept at State Hermitage).The room interior where Chekhovs’ family lived and father’s grocery was placed.